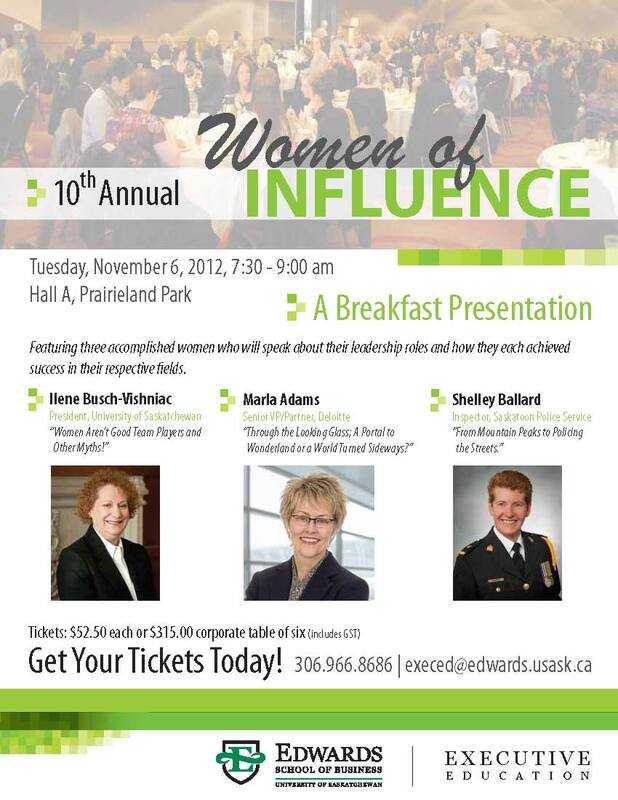 A breakfast presentation featuring three accomplished women who will speak about their leadership roles and how they achieved success in their respective fields. Join our waiting list for the 2019 event by emailing execed@edwards.usask.ca. Jacqueline Ottmann, Ph.D., M.A., B.Ed. Dr. Jacqueline Ottmann is Anishinaabe (Saulteaux), and in October 2017, she became a scholar, professor and Vice-Provost Indigenous Engagement at the University of Saskatchewan. Formerly, she was the Director of Indigenous Education Initiatives with the Werklund School of Education, and Coordinator of the First Nations, Métis, Inuit Undergraduate Teacher Education program at the University of Calgary. 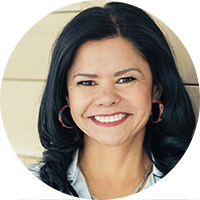 Jackie has been recognized as an international researcher, advocate, and change-maker whose purpose is to transform practices inclusive of Indigenous leadership, methodologies and pedagogies. She is driven to create schools and communities that foster a deeper sense of belonging and appreciation for Indigenous peoples - their histories, stories, ways of knowing and being. Fatima was appointed as Commissioner for Saskatchewan Human Rights Commission in January 2018. Always an ardent advocate for human rights and educator for championing good citizenship, Fatima is enjoying her new role as Commissioner. Fatima was born in South Africa and immigrated to Canada in 1991. She holds a Bachelor of Dental Science degree and a Master of Health Administration. She is also a consultant at Coovadia Consulting. 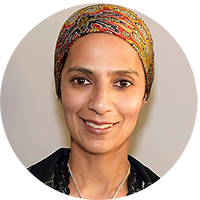 Fatima has a passion for education and over the years has served on many boards including Lakeridge Cooperative Preschool, Maria Montessori Board of Directors, Parent Council Chair at Lakeridge School and Colette Bourgonje School. She is an active member within the Islamic Association of Saskatchewan and currently serves on the board of Remai Modern Art Gallery. Fatima and her husband Abdullah have three children, and they enjoy travelling, exploring food from different countries, and experiencing other cultures. Candace Laing is a skilled resource in the development of strategic business initiatives that create high-performance cultures and help organizations achieve business results. She is currently the Senior Director of Sustainability and Stakeholder Relations at Nutrien – the world’s largest provider of crop inputs and services. Her career has spanned through both private and public-sector organizations. 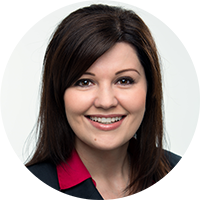 She has served as an instructor at the Edwards School of Business, University of Saskatchewan. Candace obtained her Bachelor of Commerce degree from the University of Saskatchewan and completed her Master of Arts in Leadership from Royal Roads University. People describe her as highly personable, competitive and always energized by a challenge. She is passionate about agriculture and is proud to have grown up in Saskatchewan where she currently resides and her family farms. A portion of the proceeds of this breakfast go towards the Women of Influence Scholarship Award that was established to support the dreams of students wishing to pursue a business education. The award was established in 2012 and is intended for business students (male or female) who are making progress towards degree completion and who are single-parents of a dependent child or children. Every year a current Edwards student receives a $1500 scholarship. Thank-you to our 2017 Sponsors!